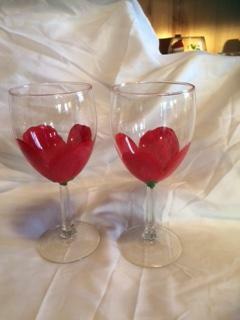 Red Tulip is a set of 2 standard size wine glasses. Hand painted with baked on enamel to last. Rich red in color. All original. No two are alike.